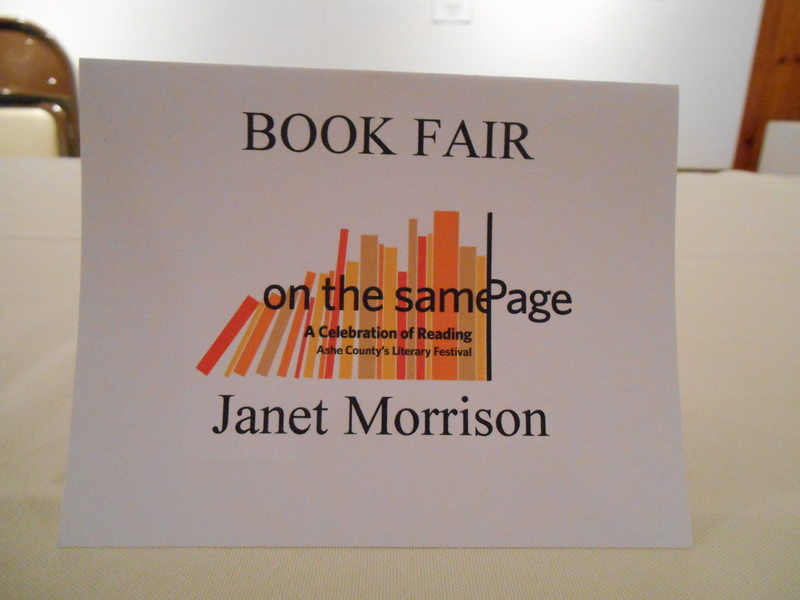 I attended the On the Same Page Literary Festival in West Jefferson, North Carolina last Friday. In my last post I blogged about getting to hear author Angela Davis-Gardner speak. 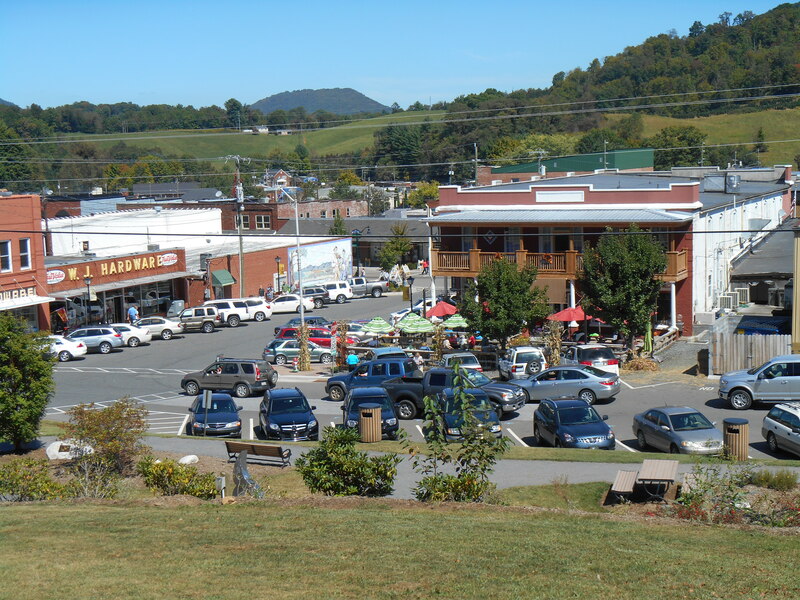 When I visit a town to participate in an event to sell or publicize my vintage postcard book, The Blue Ridge Mountains of North Carolina, I try to patronize the local businesses. I always look for a locally-owned and -operated restaurant. On Friday I enjoyed lunch at the historic Tavern Hotel Restaurant in West Jefferson. The former hotel is pictured above. Later that afternoon I participated in the festival’s book fair. A dozen authors and Natalie Foreman, Associate Editor with McFarland and Company, Inc., Publishers, took part in the fair. I got to speak briefly with Ms. Foreman about an idea I have for a nonfiction book. More on that later, if it materializes. I had copies of my vintage postcard book, The Blue Ridge Mountains of North Carolina, available for sale. 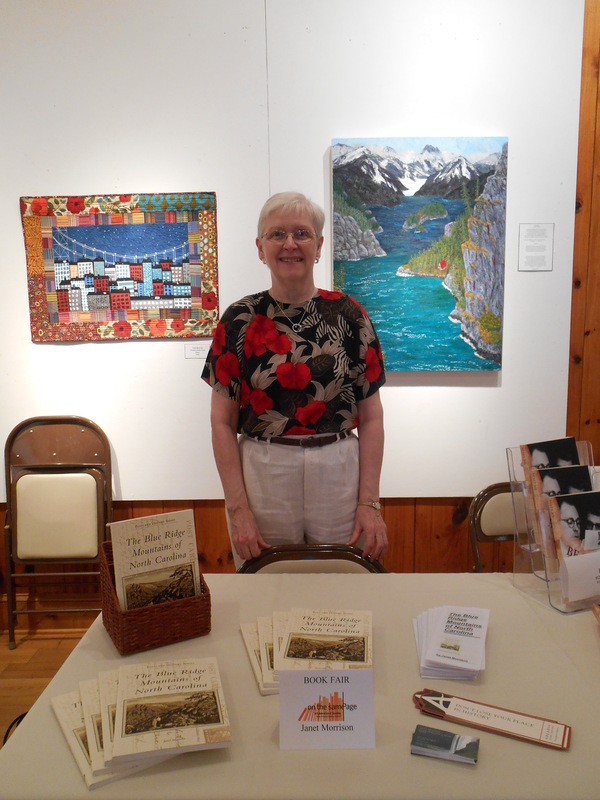 I shared a table at the fair with author Maryrose Carroll. 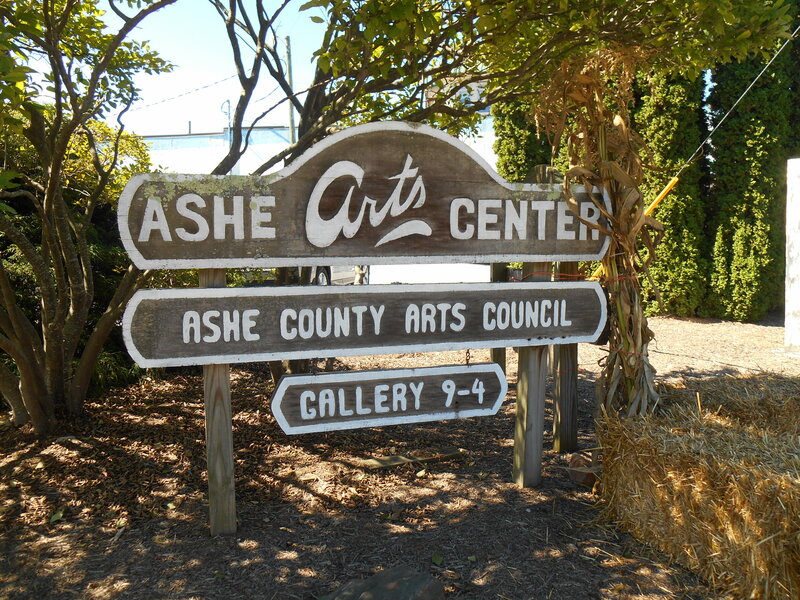 We had interesting conversation about writing, the benefits of being in a local writers group, self-publishing, and politics. Ms. Carroll was selling and signing her book, Beats Me: Love, Poetry, Censorship from Chicago to Appalachia. 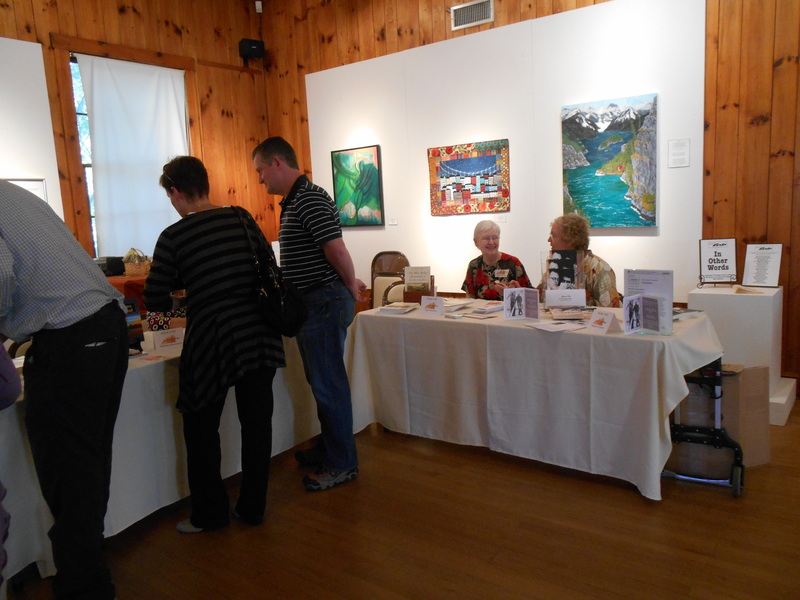 That’s Maryrose Carroll and me chatting at our table in the photo below. I sent a query letter to a publishing house today. I’ll keep you posted.